Cordless Job Site Speaker developed for playing music from a mobile device via Bluetooth. Body Only - no battery or charger. Body only unit (no battery or charger supplied). 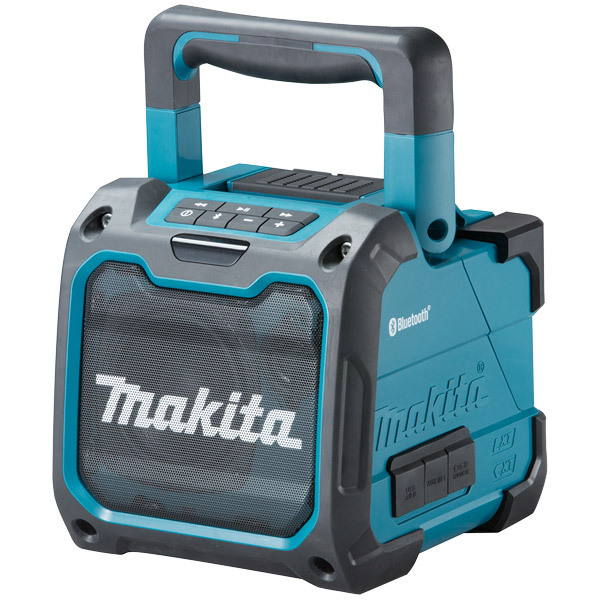 Compatible with Makita Range of Lithium-Ion batteries. • Equipped with Bluetooth class 2 to wirelessly connect your mobile device for playing music with a range up to 10m. • USB port allows for charging mobile device. • Storage compartment for mobile device: Charging of mobile device still possible when stored. • LED indicators for condition of tool and Bluetooth connection.